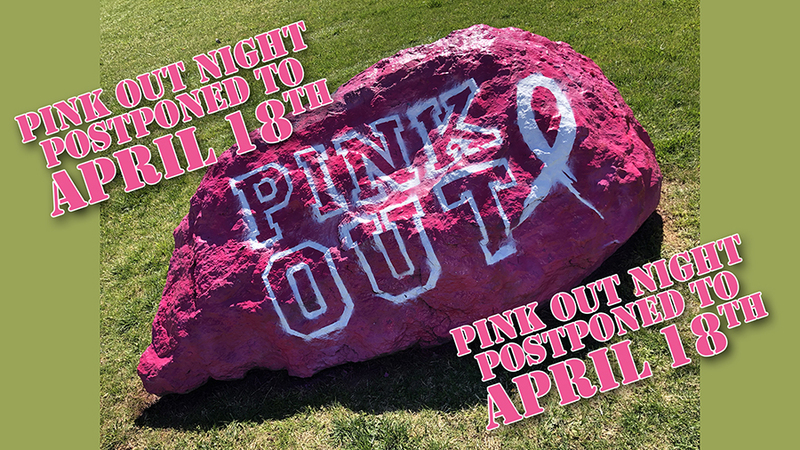 Due to the weather Varsity sports along with “Pink Out” night has been canceled for this Friday (April 5). It will be made up on Thursday, April 18th. We will play Southlake.